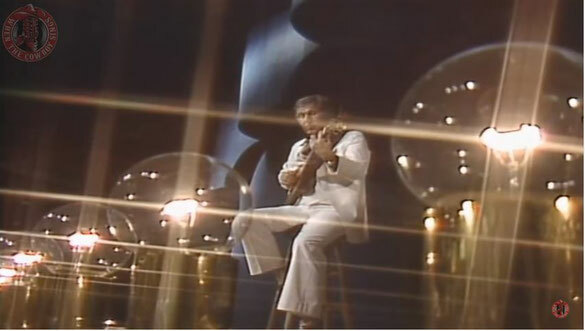 Chet Atkins performs "SukiYaki"on Pop Goes The Country 1982. It appears on the 1964 album "My Favorite Guitars"
My Favorite Guitars is the title of a recording by Chet Atkins. The guitars referred to are Atkins' signature Gretsch "Country Gentleman" electric guitar, a Brazilian Del Vecchio (guitar maker) resonator guitar presented to him by Los Indios Tabajaras, and a Spanish Juan Estruch classical guitar, all visible on the LP cover photo. It is another example of Atkins' 1960's easy-going, easy-listening guitar playing.